Guzara hotel offers comfortable accommodation set in modern style. The hotel is located in a quiet neighborhood. We have given the name after a historic castle built in the 14th century, located on the Northeast shore of Lake Tana. 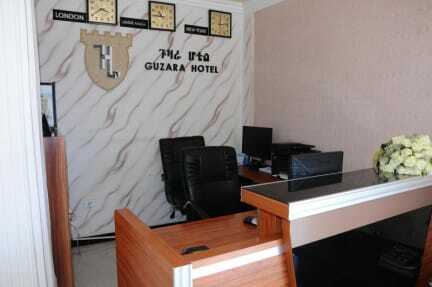 Guzara hotel is a welcoming hotel providing well being and relaxation. The relaxing character of the hotel is created by carefully chosen staff offering you comfort and attentive service with friendliness and formality. 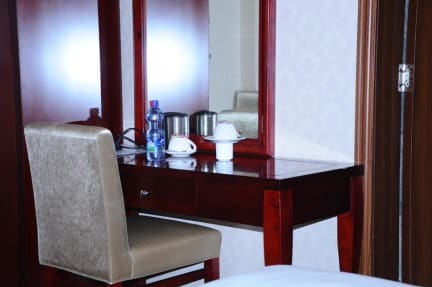 We are located in Addis Ababa, near to some of the finest attractions and landmarks of the area such as National Palace, Ethiopia Park and Black Lion Monument, amongst other interesting places and spots that you can visit and discover around our city. We have private accommodation options with several capacities and all of them fully equipped. Our provision of services is special that create specific levels of perceived value for you so that your remains engaged positively. With the mix of both modern and traditional cultures, the culture of our hotel is understandable and relevant for our customers.